US Digital Literacy believes that the contents of this page will continue to change as Common Core is challenged. Education continues to undergo a revolutionary change not only in America, but in every country of the world. We cannot meet the future by doing what we have done in the past. Our children are changing. Their minds are different. Their access to information is different. Our educational system was designed in the 18th and 19th century. It grew through the industrial revolution. We were an industrialized nation. But now we have moved towards an informational and service oriented economy. Education will have to change to meet the demands of a 21st Century workplace. The information about the revolution of education will evolve into a timeline of transformative systems and processes over the next ten plus years. We will continue to bring all sides of the Common Core Essential Standards debate. States across the country collaborated with teachers, researchers, and leading experts to design and develop the Common Core State Standards. Each state independently made the decision to adopt the Common Core State Standards, beginning in 2010. The federal government was NOT involved in the development of the standards. At each state level, local teachers, principals, and superintendents lead the implementation of the Common Core. 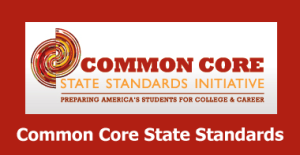 States that adopted the Common Core State Standards are currently collaborating to develop common assessments that will be aligned to the standards and replace existing end of year state assessments. These assessments will be available in the 2014-2015 school year. Essential Standards reach beyond reading and math into core curriculums such as social studies and science. These standards are developed by each state. *Please note: The Common Core Standards have come under much scrutiny and criticism. The standards in some states were rolled out prematurely. Teachers lacked understanding and quality training to make the initiative a quality transformative process. While the project had an idealistic measure it has been plagued with problems both of perception and substance. Reasonable concerns about the rapid pace of implementation and the ability of the state Department of Education to oversee the demands of this complex initiative have created incense and frustration among teachers. The idea of Common Core was heralded as a crossroads of national educational equity. Yet many states jumped on the band wagon because they were offered millions of dollars in grant money to do so. The problem is that band lacked it’s lead singer. It also lacked the band and the wagon. Teachers are now scrambling to self teach, collaboratively learn, and look for leaders within their schools. Educators are now left to help bring clarity and understanding towards one simple and common goal — to teach. Even some students have been left questioning the Common Core Initiative. Recorded at the Knox County School Board Regular Meeting Ethan Young speaks out about Common Core.